The weather has played a major part in each teams testing plans, with the searing heat during the day meaning that realistically riders could only really set flying laps within a small time frame when the sun wasn't at its peak. Most teams focused on developing the bike and finding their riders ideal set ups over the first two days, while today provided a chance for the teams to show their true pace this morning, before running race simulations this afternoon. Dani Pedrosa showed good pace on day 1, finishing 2nd on the time sheets, but since then he had struggled to make much more progress until late on today when he managed to get in a flying lap just before the end. 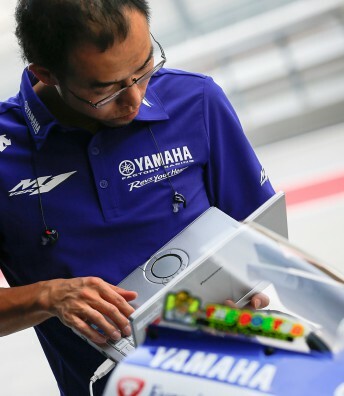 The two time 250cc World Champion managed to improve by over half a second during the test, and was one of the only riders to improve his time in the afternoon, finally breaking the 2 minute mark to finish in 7th. 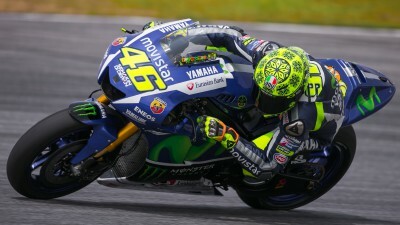 After topping the timesheet’s on the first day, Valentino Rossi has seen the gap between him and Marquez stretch from 0.4s on day 2 to 0.7s by the end of the test. 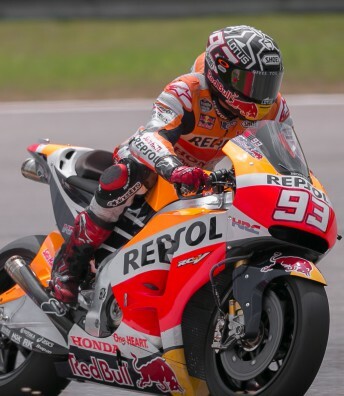 While he was one of only 7 riders to break the 2 minute mark over the course of Sepang 2, the 9 time champion will hope to be more competitive in Qatar. Drive M7 Aspar’s Nicky Hayden had to adjust to a completely different bike compared to the Sepang 1 test, as he wasn't happy with the original setup, and clearly found something as he shaved 2 seconds of his best time over the test. Teammate Eugene Laverty was using the three days to familiarise himself with the Honda RC213V-RS and will be pleased to have finished just a second behind the 2006 MotoGP™ Champion. Forward Racing were focused on testing the new electronics software for Stefan Bradl and Loris Baz that they debuted at Sepang 1, and will be encouraged by the formers one lap pace as he finished just 1.5 seconds off Marquez on the final day. Baz, was another 2 seconds back, as he gets used to riding in the premier class after making the step up from World Superbikes. 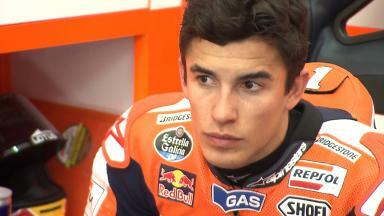 For full results from the Sepang 2 test, simply click here. 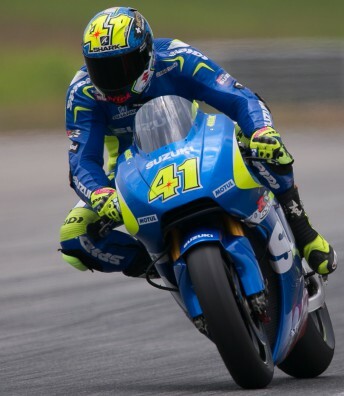 Pol Espargaro: "Today was a bit of a tricky day for me"
Pol Espargaro looks back on day 3 of the Sepang test, after an early crash hampered his progress. 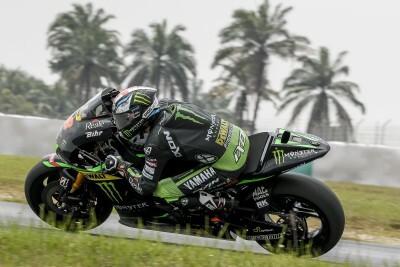 Smith: "We’re close to being the top satellite bike"
Bradley Smith gives his feedback on the 3 day test at Sepang, where he finished 6th in the combined standings. Bradley Smith: "Today was a really positive day"
Laverty: "We have made quite a lot of progress"
Drive M7 Aspar’s Eugene Laverty continued his progression on the RC213V-RS at Sepang and is happy with his progress. Hayden: "We are on the right track"
Drive M7 Aspar's Hayden finds eight tenths on third and final day at Sepang to end test on a high. Hayden: "We can take a big step tomorrow"
Following the second 3-day MotoGP™ test at Sepang, a number of factory & satellite riders stayed to test Michelin tyres for the 2016 season. Suzuki MotoGP’s Maverick Viñales gives his reaction to the three days of testing at the Sepang International Circuit.